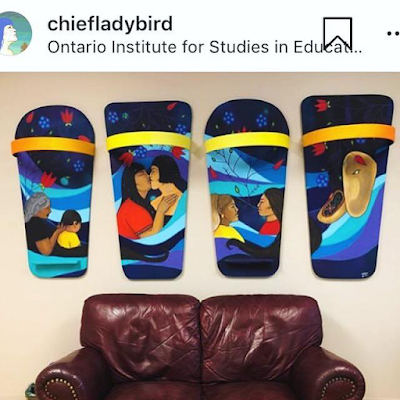 OASIS SKATEBOARD FACTORY: So cool that the Cradle Board Mural by Chief Lady Bird & Aura found a permanent home at OISE! Oasis Skateboard Factory is so inspired by these artists, thanks for including us in the manufacturing of these boards! So cool that the Cradle Board Mural by Chief Lady Bird & Aura found a permanent home at OISE! Oasis Skateboard Factory is so inspired by these artists, thanks for including us in the manufacturing of these boards!